Napoleon Bonaparte died on May 5, 1821 as a prisoner on St. Helena, an isolated British island in the South Atlantic. On May 7, St. Helena’s governor, Sir Hudson Lowe, sent news of Napoleon’s death to London on the Royal Navy sloop Heron. On July 4, Captain William Crokat (who had replaced poor Engelbert Lutyens as orderly officer at Napoleon’s residence of Longwood) delivered Lowe’s message to Earl Bathurst, Secretary of State for War and the Colonies. 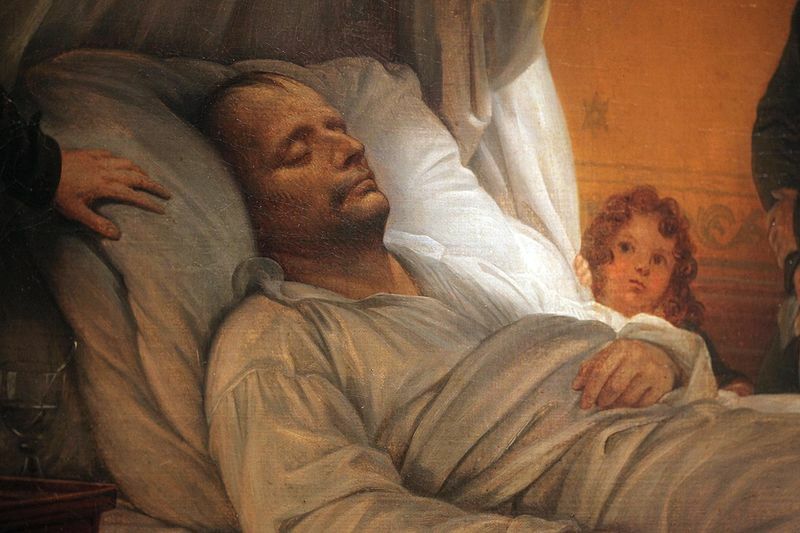 Here’s what the newspapers had to say about Napoleon’s death – or, rather, about his life. 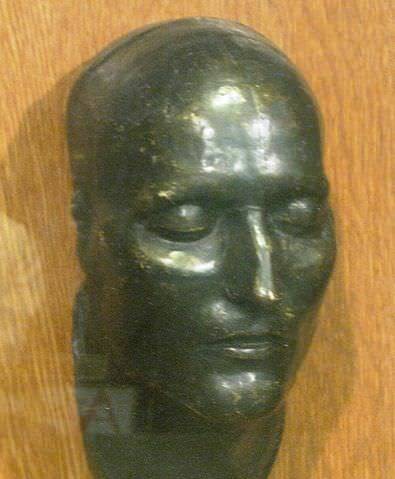 Thus terminates in exile and in prison the most extraordinary life yet known to political history.… Buonaparte came into active life with as much (but we have no reason to think a larger share of) lax morality and pure selfishness as others of his age and calling. The public crisis into which he was thrown gave to profound selfishness the form of insatiable ambition. With talents and enterprise beyond all comparison greater than any against which he had to contend, he overthrew whatever opposed his progress…. How, then, was this pupil of a military school prepared to exercise the functions of sovereignty? An officer, as such, has no idea of divided power. His patriotism is simply love of his troops and his profession. He will obey commands – he will issue them – but in both cases those commands are absolute. Talk to him of deliberation, of debate, of freedom of action, of speech, nay of opinion, his feeling is that the body to which any of these privileges shall be accessible, must fall into confusion and be speedily destroyed. Whatever pretexts may have been resorted to by Buonaparte – whatever Jacobin yells he may have joined in to assist his own advance towards power – every subsequent act of his life assures us that the military prepossessions in which he was educated became those by which he was influenced as a statesman: and we are well persuaded of his conviction, that it was impossible for any country, above all for France, to be governed otherwise than by one sole authority – undivided and unlimited. It may, we confess, be no satisfaction to the French, nor any great consolation to the rest of Europe, to know through what means it was, or by what vicious training, that Buonaparte was fitted, nay, predestined almost, to be a scourge and destroyer of the rights of nations, instead of employing a power…for the promotion of knowledge, peace and liberty throughout the world…. The factions which he was compelled to crush, and whose overthrow obtained for him the gratitude of his country, still threatened a resurrection…. Hence were pretexts furnished on behalf of despotism of which men more enlightened and better constituted than Buonaparte might not soon have discovered the fallacy. Raised to empire at home, his ambition sought for itself fresh aliment; and foreign conquest was at once tempting and easy…. [W]hat might not this extraordinary being have effected for the happiness of mankind and for his own everlasting fame and grandeur, had he used but a moiety of the force or perseverance in generous efforts to relieve the oppressed, which he wasted in rendering himself the monopolist and patron of oppression. But he had left himself no resource. He had extinguished liberty in France and had no hold upon his subjects but their love of military glory. Conquest therefore succeed to conquest, until nothing capable of subjugation was left to be subdued…. The sensation produced by the death of Buonaparte will be a good deal confined in this country to its effect as a partial relief to our finances, the expense of his custody at St. Helena being little short of 400,000£ per annum. In France the sentiment will be more deep and complex, and perhaps not altogether easy to define…. A pretext for suspicion and severity in the administration of affairs may be taken away by a Pretender’s death; but then a motive to moderation…is at the same time removed from the minds of reigning Princes. Buonaparte’s son still lives, it is true, but how far he may ever become an object of interest with any great party of the French nation, is a point on which we will not speculate. Few conquerors have had a fame so extended as Napoleon Bonaparte. The noise of his name filled all Europe; it was heard to the extremities of Asia. Placed by the force of events at the head of a great nation, wearied by a long anarchy, the heir of a revolution that exalted every good and evil passion, he was elevated as much by the energy of his own will, as by the feebleness of parties, to the supreme power, placed France in a state of permanent war, substituted the illusion of glory for the real benefits of liberty and, identifying himself with national independence, drew from the fear of a foreign yoke the principal instrument of a boundless authority. Napoleon had an entire faith in fortune. He believed that an insurmountable fatality governed his destiny. This error has been common to several eminent persons, and almost all those who have entertained it have experienced, after the most signal success, the greatest reverse. They left insufficient scope to the counsels of wisdom; the fruit of fifty victories could be destroyed in one unfortunate day; of this, Poltava and Waterloo are memorable instances…. Napoleon necessarily made a strong impression on the minds and imagination of mankind. A soldier who, by the force of genius alone, raises himself above his contemporaries; who gives tranquillity to a disturbed society, and dictates his laws to sovereigns, appears in the world as a wonderful person, and the earth is silent before him. History, an impartial judge, will confess that Napoleon has rendered eminent services to the social order. The promulgation of the Codes by which we are today governed, notwithstanding the many imperfections of the penal code, is a benefit that will not be lost for generations to come…. We will not speak of that astonishing military glory which is admitted without dispute: the improvements in internal administration, the public works and the settlement of finances present more durable titles to admiration…. The truth must sit upon his tomb; and let us not be diffident in saying that the prisoner of St. Helena will be counted among the great men. 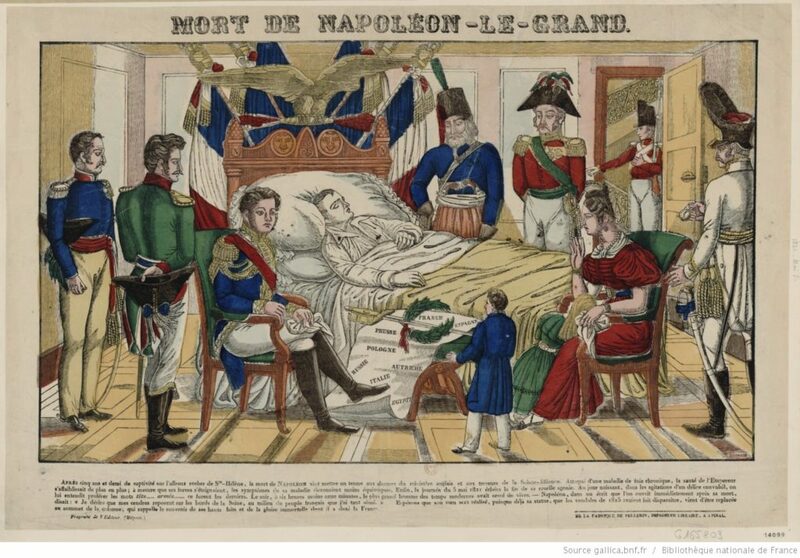 The death of Napoleon Bonaparte, late Emperor of the French, is now ascertained beyond doubt…. No man ever lived whose personal agency had so immediate and so vast an influence on the concerns of the world. In the language of Phillips…‘crowns were his playthings, thrones his foot-stools.’ Such was the boldness of his ambition, the magnitude of his designs, and the splendor of his successes, that he seemed almost to have been endowed with the attribute of omnipotence, and made superior to the vicissitudes of morality. All Europe trembled at his nod; but all Europe would not have satiated his ambition. He was born to illustrate the uncertainty of human fortunes, and seems to have been permitted to reach the highest point of human grandeur, that his fall might be so signal as to send, through all time to come, a warning example to overreaching ambition. The institutions of Napoleon, and the benefits of the legislation of his reign, will descend to posterity in connection with his memory. But it is chiefly for his military deeds that his fame will be inscribed in living letters in the annals of the world. Durable as his fame will also be the condemnation which impartial history will pass upon the harsh decree which sentenced this illustrious captive to an almost literally Promethean fate. In New Orleans, where Napoleon lands in Napoleon in America, Napoleon was regarded favourably. On October 19, the Louisiana Courier announced Napoleon’s death by reprinting a July 8th article from the London Examiner. The age has lost its greatest name – Napoleon Bonaparte…. The animal who encumbers his once magnificent throne, and all the vampires of legitimacy, will doubtless chuckle over the melancholy end of the man whose genius abashed them, even when in his remote prison; but there are hearts on which the news of his death strikes like a heavy blow. He was far away from our eyes and our thoughts, but we felt a pervading consciousness that he lived, and something like a feeling that he might again appear among us, as a soldier still unequalled, as a man taught wisdom by experience…. He rose amidst the storms of the revolution; he was, as he himself felt and said, the ‘sword arm of the republic,’ with which it chastised and humbled to the dust the accursed confederacy of despots, who had endeavored to rivet an old, worn-out, oppressive and rejected dynasty on 30 millions of Frenchmen…. By what right did the British government constitute herself a tribunal to judge and punish in the last resort delinquent European monarchs? Could it by any reasoning have made out a claim to that office, was it just or decent to make a victim of one, a man of unquestionable talent and greatness of soul, and at the same moment to compliment and make alliances with all the worse tyrants, the maudlin hypocrites, and the base violators of their word? Or did these moral Quixotes and immaculate judges only protest to do ‘justice’ upon one sinner ‘against the spirit of the age,’ and that one a fallen enemy? The Buonapartists here have put into circulation a report that Napoleon has been poisoned by a diamond pounded by an Italian priest. His death, it is said, had been resolved upon at the Congress of Laibach, by the Allied Sovereigns, frightened at the revolutions breaking out on all sides, and at the danger still threatening them, that on the least rupture between them, England would set him loose upon Europe. The English cabinet, it is added, consented to the proposal out of fear at the progress of the Radicals, and from a desire of saving the immense expenses incurred by supporting their illustrious prisoner. As a consistent sequel to this story, it is added that the son of Buonaparte is now unwell, and that his death must soon follow – a circumstance that should not excite the astonishment of men who understand political affairs. Thanks, Shannon, for a glimpse at the first judgments on the life of N. After 195 years the controversy continues, as anyone who looks at the N books published in the last 20 years will attest. I once asked you about a quote attributed to N which went something like this: “Men must be very bad if they are as bad as I think they are.”. My pleasure, Addison. Like you, I was struck by how much the debates over Napoleon today draw on the same points that were made 195 years ago. Many thanks for the citation for that quote. It was so interesting to read the news accounts of Nap’s death by England, France, and USA. Thank you Shannon! My two-cents: He was less of a despot than any of the inbred monarchs of Europe. He made many changes for the good of mankind. Like ending the feudal system, the HRE, and the Inquisition. God love Napoleon! Love seeing these perspectives side-by-side. Terrific post! Thanks, Renée. Glad you enjoyed it! Great newspaper articles which I would never have found by myself. I wonder if German, Italian, Dutch and Spanish newspapers also responded to the death of the hero/tyrant. Thanks, Hels. I imagine they did. I wish I were fluent enough in those languages to be able to find the articles and figure out what they said. In my gt.gt. grandmother’s album (a Philadelphia Bonapartist) there is a doggerel poem in English, dated 1828, which assumes that Nap was slowly poisoned. It was amazing how they saw only a “man of giant mind” and missed the egoist who was prepared to sacrifice hundreds of thousands of lives as he “waded through slaughter to a throne”. Still, there have been many worse mass killers! Thanks, Sol. I hadn’t heard of this poem – found an English translation of it here: https://allpoetry.com/Il-Cinque-Maggio-(English). Thanks for sharing these, Shannon. It is always fascinating to see how historical events were conveyed at the time they happened, particularly inherent biases, depending on who is writing about them. I’ve personally written three novels set during this time, though I have not touched the Napoleonic Age for several years now. My last, called “Courage Marshal Ney”, explores the (actually plausible) theory that Ney was not executed, but survived and escaped to America. I know that was also Napoleon’s intent, before he was captured by the British warship, HMS Bellerophon (which ironically became a prison ship soon after). And thank you for once more helping to quash the myth about Napoleon being poisoned! His health had been poor for a long time, and was readily evident at Waterloo. Plus I recall his father also died of stomach cancer. Again, excellent work here. Thanks, James. Your book sounds fascinating – the Ney in America legend is fun to explore. Here’s a link to Courage Marshal Ney for interested readers: https://www.fantasticfiction.com/m/james-mace/courage-marshal-ney.htm. I appreciate your reporting of how Napoleon’ s death was reported. I think overall his influence was much more good than bad. His biggest accomplishment being the Napoleonic Code modernizing the laws of Europe. He also destroyed much of what remained of the European feudal system which was also a good thing. Thanks, Bruce. Napoleon himself regarded the Civil Code as his most significant achievement. Such a great world panorama based on the spreading time and the form of the news. I find several comments in “The Times” quite hypocritical. Thanks, Ermanno. The Times, like most of the British press, regarded Napoleon quite harshly. A brilliant post. Am sharing. What might not this extraordinary being have effected for the happiness of mankind and for his own everlasting fame and grandeur, had he used but a moiety of the force or perseverance in generous efforts to relieve the oppressed, which he wasted in rendering himself the monopolist and patron of oppression?